My New Book! The 2016 Touring Bicycle Buyer’s Guide Is The Most Comprehensive Bike Guide On Earth! I’ve got some pretty exciting news: I’m halfway through putting together what I think is the best bicycle buyer’s guide on Earth. 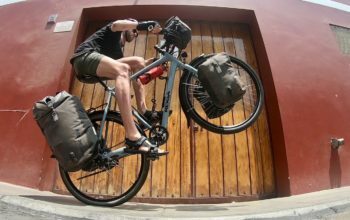 I’ve been writing bike tech articles on CyclingAbout.com for quite a few years now, and seem to have ended up really specialising in touring bikes, parts and technology. I’ve been in contact with so many people who talk about touring bikes – both in the industry and right down to the consumer level. In this time I’ve test ridden so many bikes and built up so much knowledge that I think it’s time to share. How Will The Touring Bike Buyer’s Guide Work? 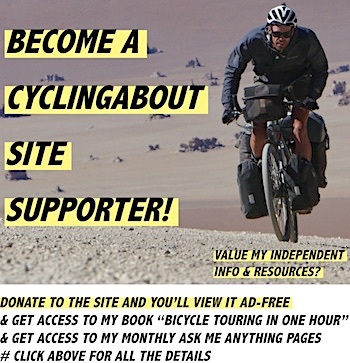 In the first section I will take you through everything from the different types of touring bike, to frame materials, wheel sizing, handlebars and tyres. You’ll get a great overview of the pros and cons of different touring setups. I’ll get you to think about how relaxed (upright) or sporty (low) you’d like your bike to be and whether you want to use it for more than just touring. I will talk you through the components that are most important for hilly riding, dirt roads and tours through 3rd world countries. You will then find out about the different types of touring bike, and what purposes they are most suited to. I will provide examples of bike tours that suit certain types of bike, so that you can determine the touring bikes that suit your purposes best. With all this knowledge, you’ll be able to make the most of the next section, which I am super proud to announce! One of the featured bikes is this IdWorx All Rohler. Ok, So This Part is the Game Changer! Stack and reach are the best measurements we have to compare bike brands and models. This virtual sizing tool allows you to test ride one bike, and then have the ability to determine what size is best for you in another brand based on these numbers… without even swinging a leg over it! This book will give you an indication of how much longer and higher the next size up is too. For example, if you test rode a size 54cm Trek 520, this guide can tell you that a 53cm Jamis Aurora would have the same length and height proportions. When I analysed the stack and reach, I derived a stack/reach average ratio across all sizes within each model. 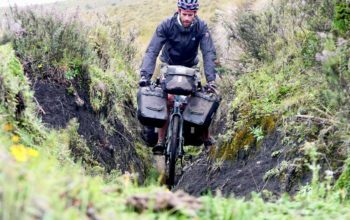 This ratio is a great indicator of how upright each touring bike model is. For example, this guide will tell you the Brodie Elan offers one of the most upright positions, while the Nashbar TR1 has one of the lowest. 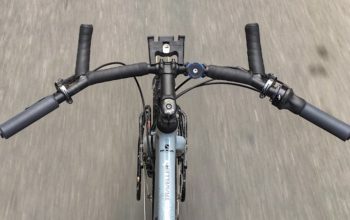 I’ve used fork ‘trail’ to determine how fast the steering is on a touring bike. This is a calculation that factors in the head angle, fork rake and tyre width. Without even riding a bike, you’ll have a good idea of how the bike will feel. 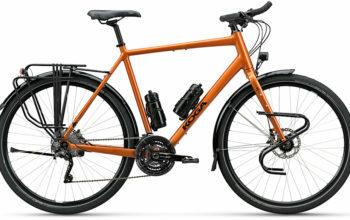 For example, this guide will tell you the Salsa Marrakesh and Surly Disc Trucker steer at the same speed, while the Novara Randonee will steer a bit slower. I’ve worked out the gear ratios for every touring bike, so that you can know how capable these bikes are for going up hills. 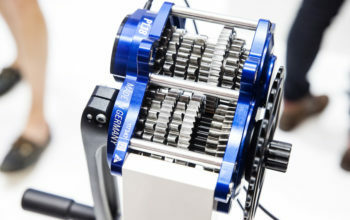 These are measured in ‘gear inches’ – the wheel diameter x front chainring / rear cog. 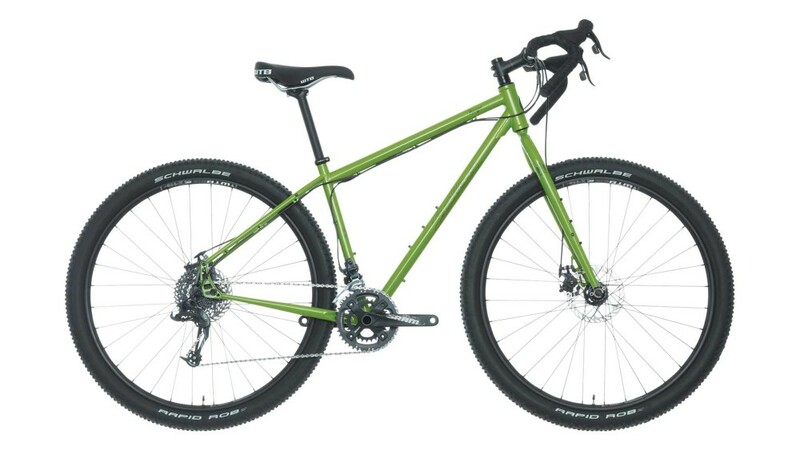 For example, this guide will tell you the Surly Disc Trucker has a lower climbing gear than the Specialized AWOL. I’ve determined what the maximum tyre widths are that are permitted by touring bike manufacturers. This will let you know if you can run a wide knobby tyre for off-road adventures (or perhaps for additional comfort). For example, this guide will tell you that you can use 10mm wider tyres on the Specialized AWOL than the Cinelli Hobootleg. It’s not a buyer’s guide without current year model photos and prices, right? 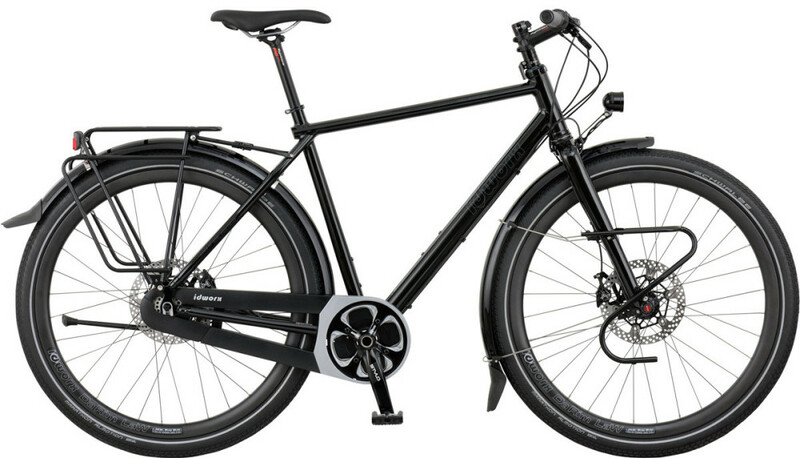 One of the featured bikes is this Salsa Fargo. What About When New Bikes Come Out? I’m going to do FREE yearly updates on this book. That’s right – once all the latest photos, geometry data and specifications are out, I will make this book fully up to date. 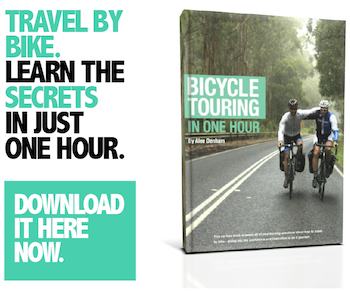 This book is going to be awesome for everyone from new touring bike buyers (especially if you don’t have access to a test ride), to those who want to be updated yearly with the new tech and features of the latest touring bikes. It’s a pretty amazing tool for people in the industry too, as it provides a quick snapshot comparison between the most popular touring models on the market. 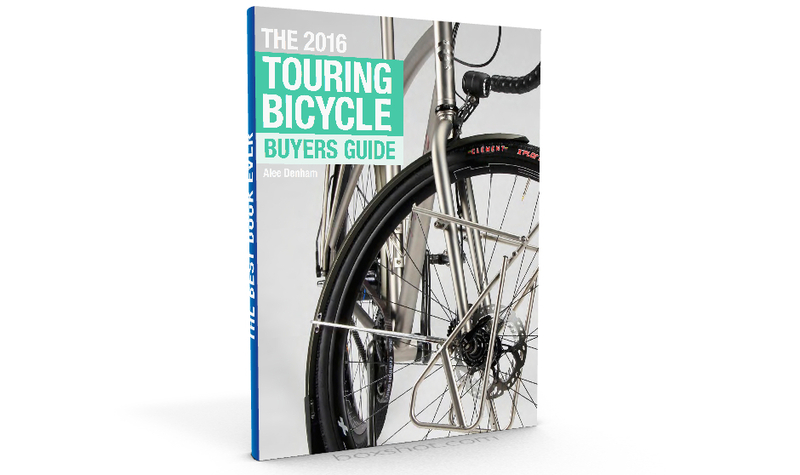 Get Your Copy of The 2016 Touring Bicycle Buyer’s Guide HERE. 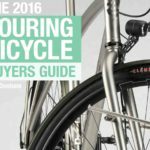 The 2016 Touring Bicycle Buyer's Guide is Now Available! !